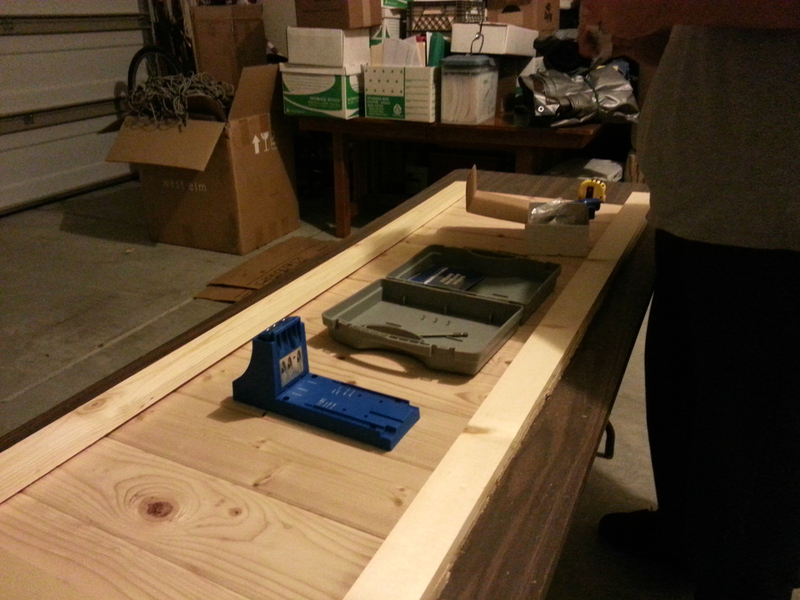 We started with the headboard, which came together beautifully. 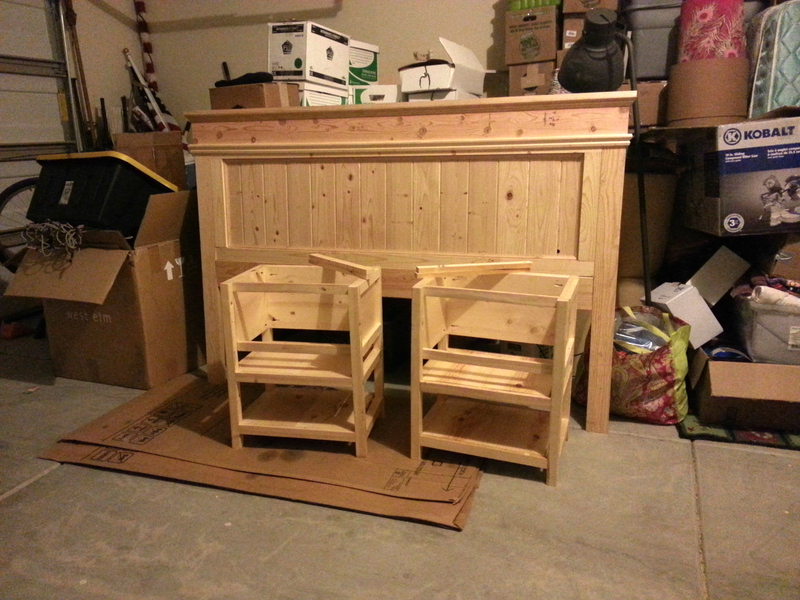 From a builders’ prospective, there aren’t many mistakes on it at all, which is great with this being our first time building actual furniture. 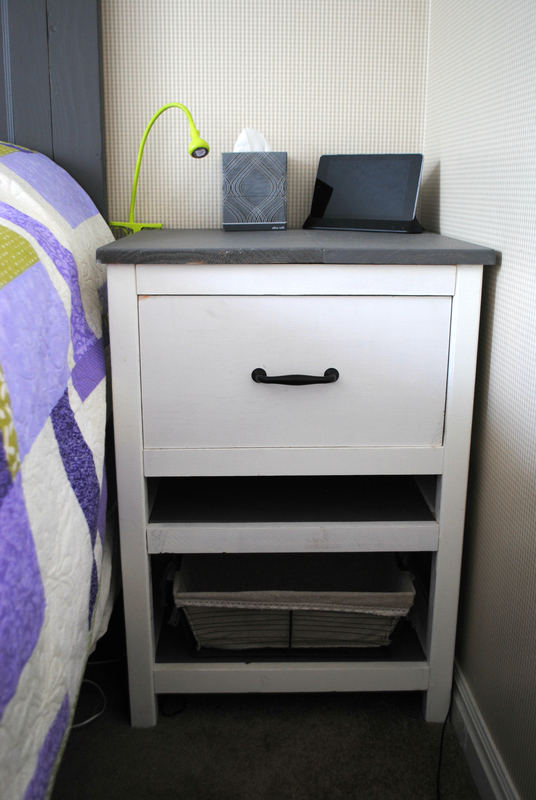 And just like most DIY furniture builders these days, we used a plan from Ana White. Someday we want to build the rest of the bed, isn’t it perfect?! Anyway, I first wanted to paint the headboard white, but with our sheets and quilt being a cream color I didn’t think that would look good (and didn’t want to remake a king quilt and buy new sheets), so we decided staining would look the best. But as we looked into it, we started to wonder if our pine would stain as nice, especially since we had a hard time finding good pieces. 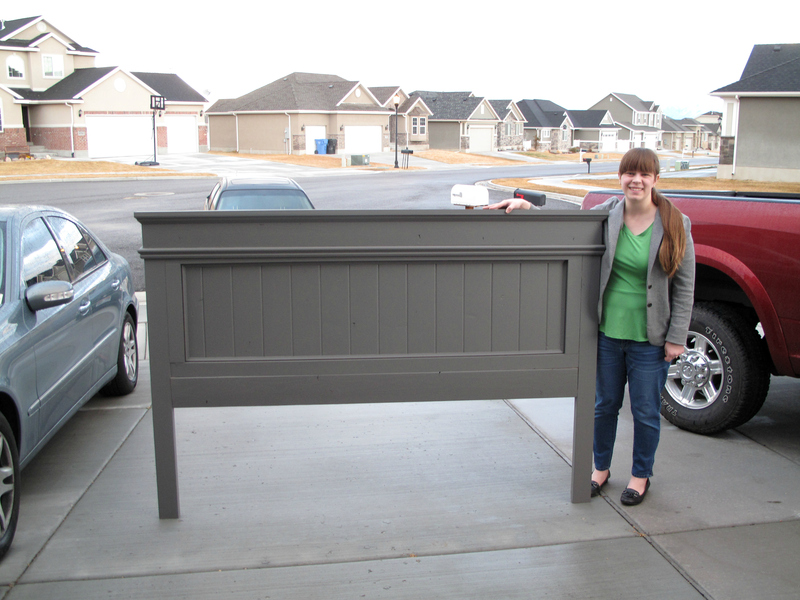 The color that kept coming to my mind was gray, but after searching on Pinterest and Houzz I couldn’t really find a gray painted wood headboard, only fabric ones, so it was hard to picture if the gray would really look good on wood. After much indecisiveness we decided on gray, and boy am I glad because it looks lovely on the headboard!!! 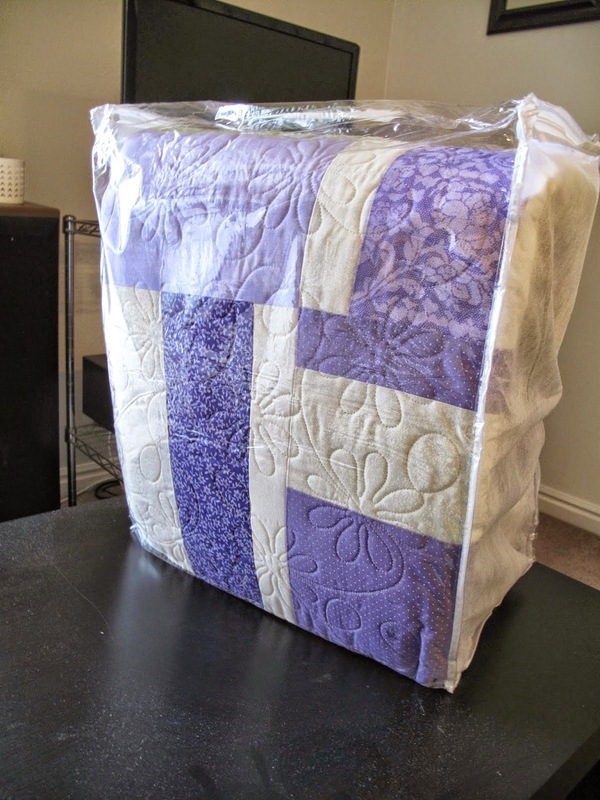 Not to mention the gray will really complement our cream sheets and cream, purple, and green quilt. Now the nightstands are a little different. We knew they’d be harder to build, and since we didn’t have the best of wood they ended up not fitting together as well as we’d hoped. As far as the plan goes, we used a combination of this plan and this plan, in addition to modifying a few things (like another shelf!). 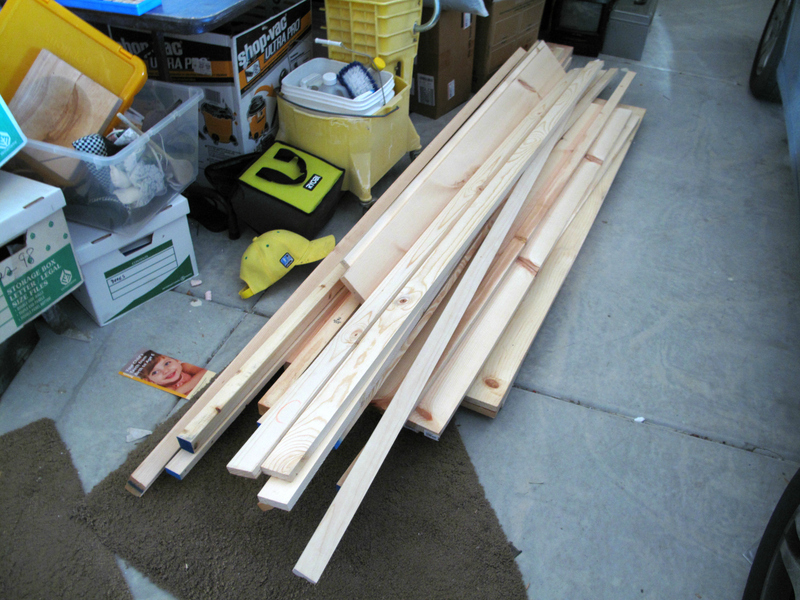 The part I was the most worried about (the drawer) ended up working out great, but the shelves didn’t fit very well. The night we brought them in we discovered they were just barely too wide for our room! Back to the workshop they went, where my husband narrowed them to fit better. He also fixed the part of the shelf that was a little messed up, so now they are perfect!! We went with the same gray for the top and the shelves as we did the headboard, but supplemented it with a slightly creamy white. I love the two-toned color scheme!!! They aren’t perfect, but I love them anyway! 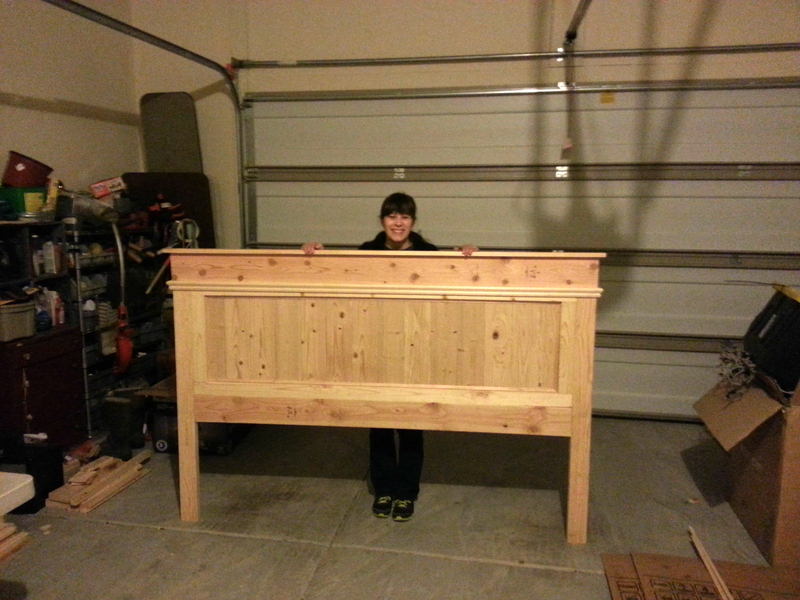 This entry was posted in Woodworking on July 30, 2014 by Megan. 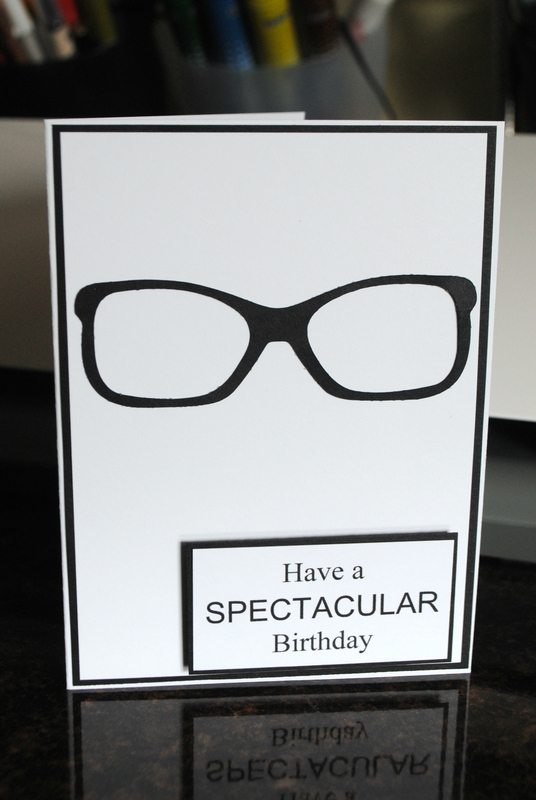 This entry was posted in Cards/Scrapbooking on July 16, 2014 by Megan. After nearly 3 years in the making, our king quilt is finally finished! 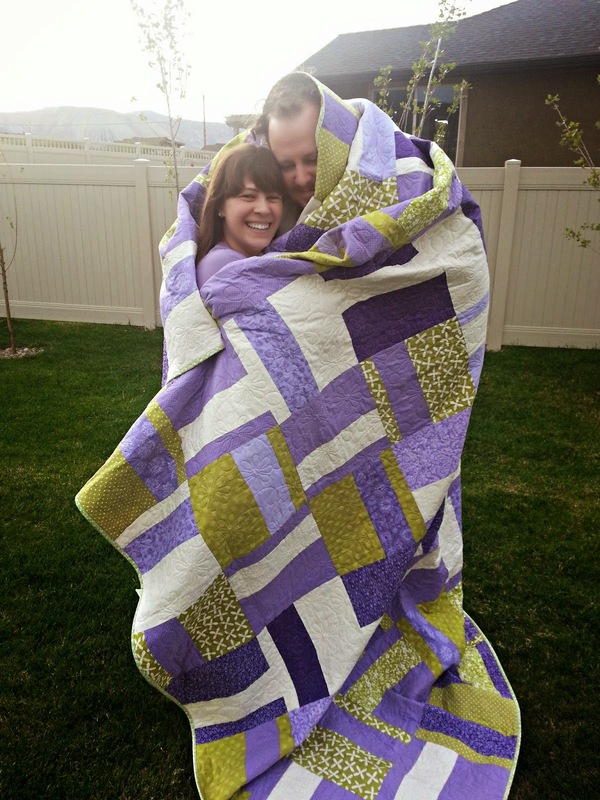 It all started in 2011 after I finished a quilt for Vince (and a few months after I finished my first two quilts for my parents). I decided I wanted to make a quilt for our bed, one that we could use exclusively in the summer, and over our blanket in the winter. For our second anniversary Vince gave me a gift card to Joann Fabrics (since the 2nd anniversary gift is cotton), and I could finally start on the king quilt. 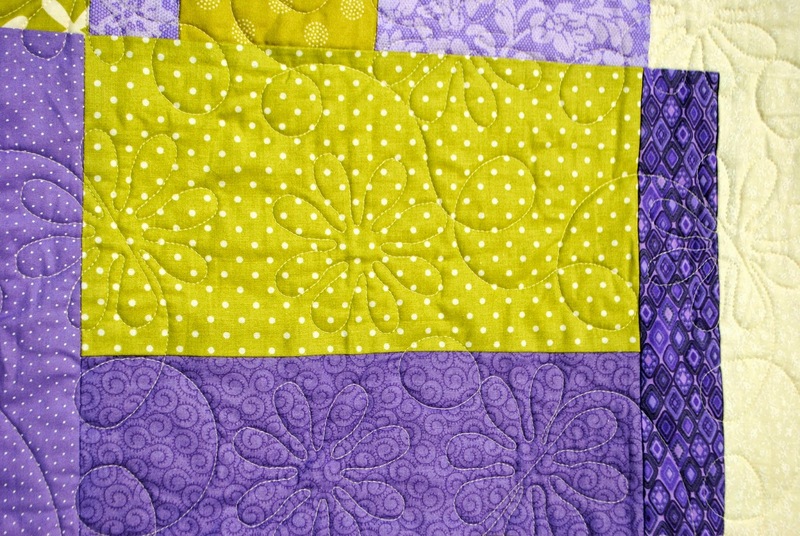 My mom bought me the book, Modern Basics by Amy Ellis, where I found the quilt pattern I wanted to use. 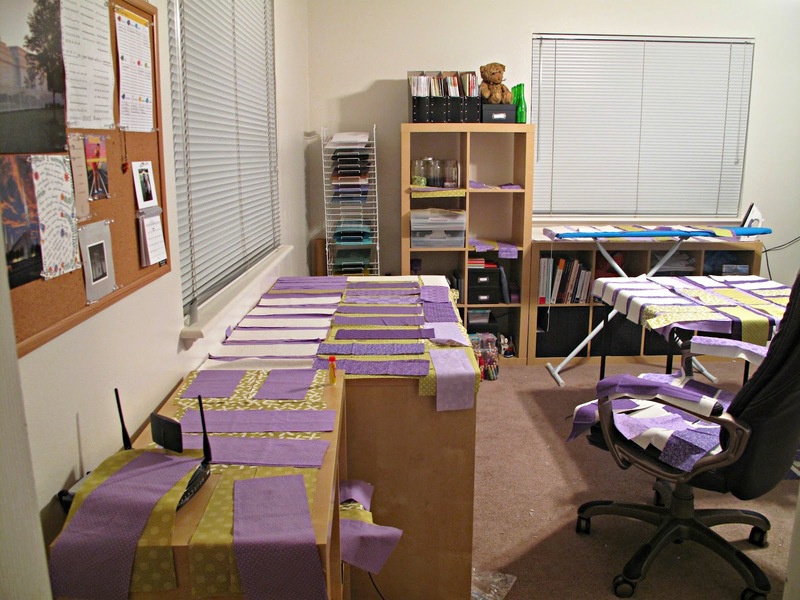 Over the next several months I began collecting fabric for the quilt top. 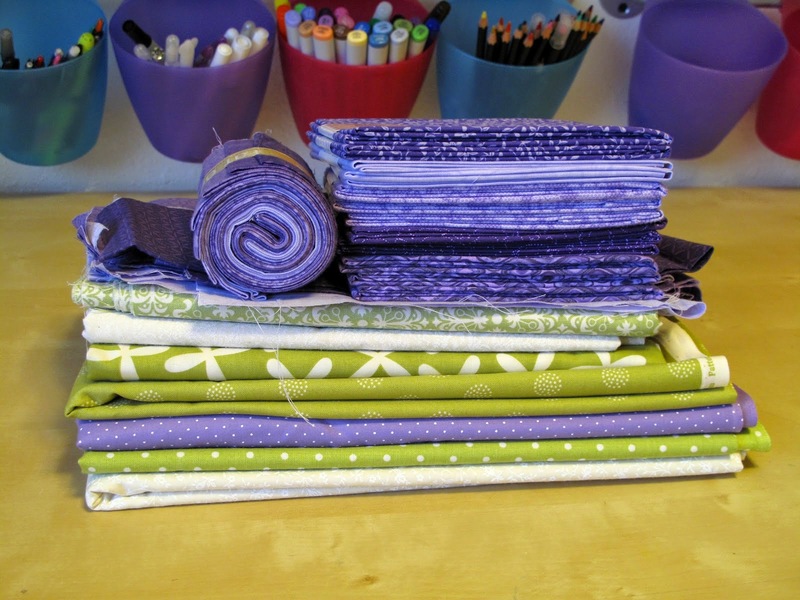 I bought some of the fabric at Joann’s and the rest at various quilt shops. 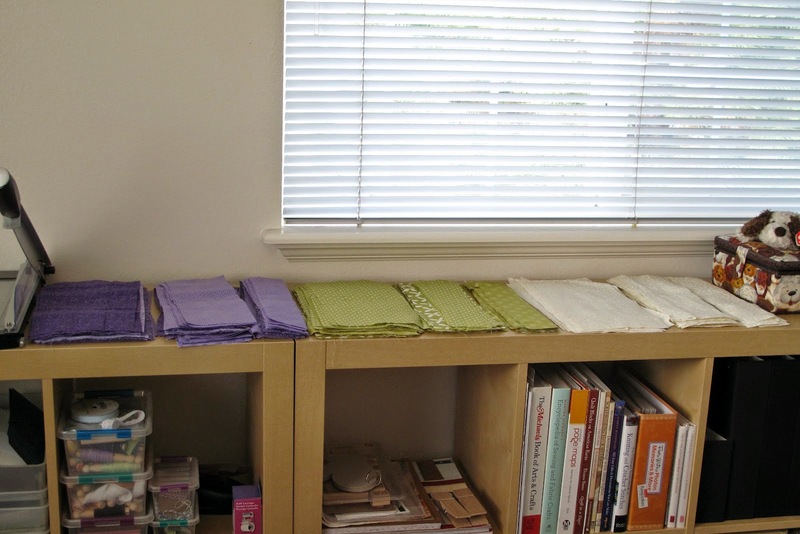 By spring of 2012 I finally had collected enough variety in fabric to start cutting. 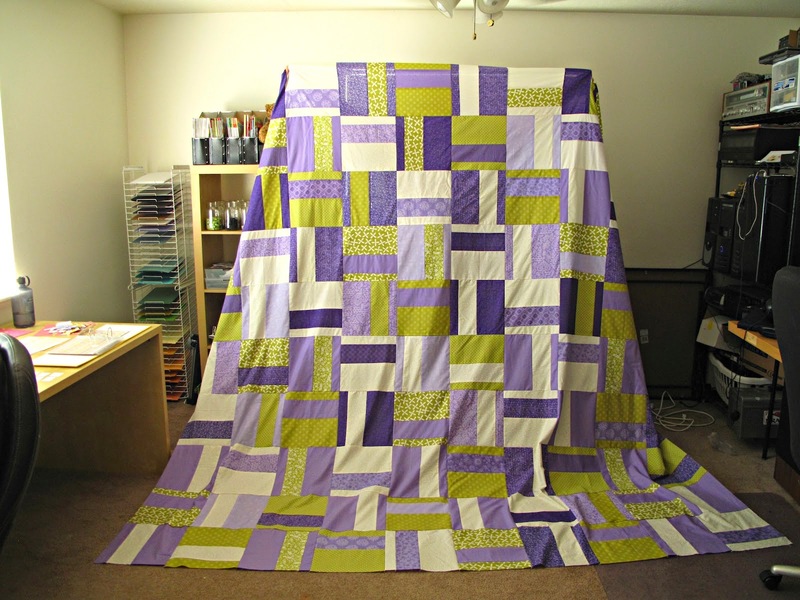 I finally finished the quilt top in August of 2012, but with the quilting being so expensive we put it off until last year. Autumn of 2013 I finally bought the fabric for the quilt back (I decided to just use a solid cream), but didn’t send it off to be quilted until after Christmas. With the crazy busy semester the binding wasn’t finished until a few weeks ago, finally culminating several years of working on the huge quilt! Now that it’s finished I am in love!!!!!!!!!! It was worth all the money and time put into it, and something that we will treasure forever. 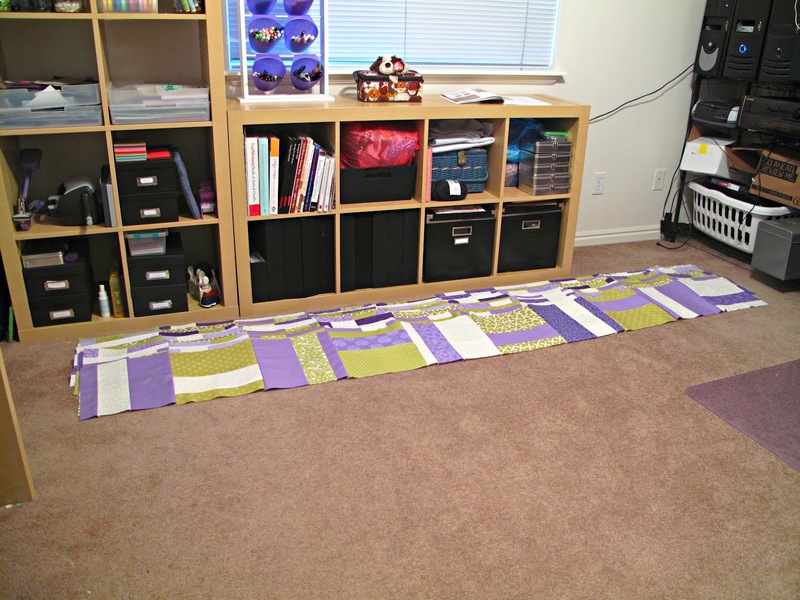 I can’t say I ever want to make another king sized quilt again, but I sure am planning on a few others. 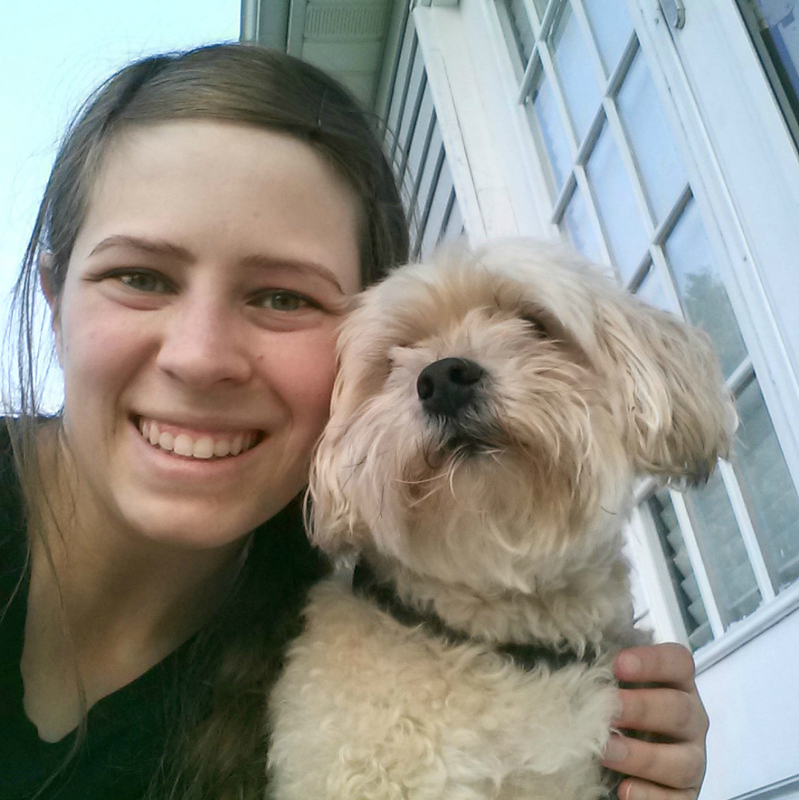 This entry was posted in Sewing on July 7, 2014 by Megan.